Well, the last time you heard from me I was beginning the task of moving some of my photo libraries to an external drive. Typically, that usually goes well. Right? NOT this time. My hard drive went kapootie! I tried everything for days to repair, fix, etc. Searched and searched forums for the possible problem. Not a good way to end the year. Once back in Philly, I went to the Genius Bar at the Mac store. And they confirmed what I already suspected. My hard drive was DEAD! Non recoverable. And it was only 18 months old. But, I was fearless because I had my Mac's Time Machine backup from December 3 so I would only loose a couple of weeks of photos. So they replaced the hard drive and I went my merry way home to begin my Time Machine backup. Still fearless! I seemed to have forgotten that I had not included PHOTOS in my Time Machine backups. My backup was BARREN of all photos. The picture folder wouldn't even highlight! Aaarrrgggghhhhh! What an arse I am!!! Reason I didn't back them up on Time Machine was that my Time Machine external drive was not large enough, so I had backed up my photos on ANOTHER external drive. Which had not been backed up since this last May! Ugh! This was NOT the way I wanted to start my new year. But on the bright side of things, it could have been worse. And even though I've lost the last seven months of photos, there are some located in other places like Picasa, Phanfare and Smugbug. But not many. So Hello 2013! The year that I will be backing up my Mac on a brand new WD My Passport 2T external hard drive which has plenty of room for all 600 gig of photos. And just for extra precaution, I'll investigate other alternative online storage for my originals as well. If you have any suggestions, dear friends, I'd be interested in hearing who/what you use to store your originals. Oh, and if I haven't done so already, I wish you a glorious New Year filled with much love and wonder! Now, back to the business of rebuilding my photo libraries. This is one of my worst nightmares. I do back up on an external hard drive but have been getting the message that's it's full and erasing older files, so I must purchase a new one. My heart goes out to you - all those photos. At least you still have the memories. Do you store on the Cloud? That would hold at least 1000 photos I think. i know this is so not a solution but i have lost my photos over & over from our trips that i have come to the conclusion it will happen. kind of like sh** happens. so i cry. pull my hair out. scream. & then get over it some how. & then talk about it forever & ever. did i mention that i am still crying over all the photos i have lost. i'm feeling sad about the ones you have lost. it plain stinks. Oh, lawsie girl, I feel your pain. You may remember that I lost four years of images last October when my EHD crashed. I have photos from the blog, of course, but they are scaled down in size to 800 pixel width. Oh, a nightmare indeed, Reena!! I wish I had some brilliant, wonderful and effective advice, but other than save, save, save!! Holding good thoughts and sending hugs!! Not a fun start for the new year by any means!! Omigosh!!! I am ordering a new external hard drive tonight!!! I have a 500G one, but it fills up---and I don't know why! I am barely computer literate, but I know that I've already had a computer crash with a 3-month-old machine; fortunately, I still had the previous computer with its hard drive holding all my photos but the latest 3 months. That was more than two years ago. I haven't been backing up, but I am going to! oh my..that is rather tragic....i am so sorry...killed a few drives in my day sadly...so i feel you but...oy...welcome to the new year...and new habits...smiles..
OMG, you've just reminded me that I haven't done a complete backup in far too long! I do have a WD external drive for it, but neglected to use it. Guess you'll just have to go back to all those places if you can and take new ones! Happy New Year. Hope you got all the snafus out of your system early!! I try to put my monthly library on disc when I can, but would hate to lose that many months.you will have to go out more to build it back up,but never can repeat that perfect shot very often. 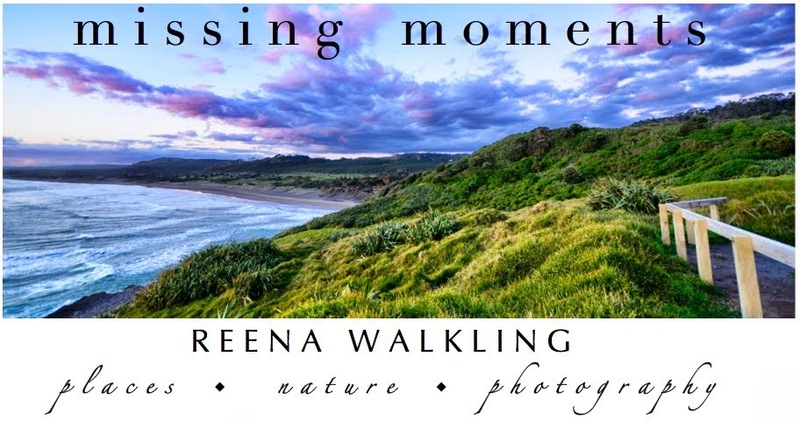 Reena, sorry you lost your photos and about the hard drive crash. It is a hard lesson to learn. I have several external hard drives and my Norton protection is always reminding me to backup. It is nice to be reminded. I wish you all the best in 2013, Happy New Year to you and yours. I need to invest in an external hard drive. Thanks for the info and blessings for the new year. Warning - long comment coming! After 30 + years in the computer business, I've seen my fair share of drive failures. A single backup is not enough!!! Those commenting that they are going to put a copy on an external drive are fooling themselves. Remember, your photos can not be replaced; they are priceless, buy name brand hard drives. Backup early, backup often. I developed a backup workflow. It's borderline OCD, but I think it's safe and pretty bulletproof. The key thing to know is you need multiple backups, ideally in different locations. 2 separate copies at home and one off-site is good. Off-site can be online. I keep my photos on an external drive that stays with my laptop. I replace it every year or so because it goes with me every day and rides on my motorcycle. At home, I use a program to backup the photos to another external drive as well as a RAID drive (I use a Drobo, but might be changing). I'm not going to explain RAID, you can google it - it's complicated. There are many RAID drive available, you get what you pay for. Expect to pay at least $400 good drive, more if you want it networked. I'm thinking about a Western Digital Live Duo Live. It's affordable ($400) but only RAID 1. I also keep a copy on an external drive at my office. Also, just because you back them up doesn't mean they files are safe, you need to make sure your can recover them. Try to recover files every so often to make sure your backup program is working. Email me if you need more info, I'm happy to help. Truly a bad time, well, it'll get better this time, I think. I am certainly no expert, but what about discs? At least, for your favorite pics. OH NOOOOOO... what a way to start the new year... i keep mine on two external hard drives, one a seagate the other is an ego, i put them on both just in case one external crashes it is on the other. at least now you have an excuse to go back to all the places you went for the past 7 months and recapture the moments. like you needed an excuse. Oh no - how awful! How horrific that must be for such an avid photographer as yourself. I feel for you. I try to keep mine backed up on an external drive and also my laptop but I am sometimes a little lazy in keeping it all up to date. I do love your photo. I copy my photos onto CD's. I don't know if that is the best way but I don't have an external drive. Maybe I should look into that. So sorry you went through that. 18 months is not that old for a Mac. Mine is 4 and I start to worry that it will one day die a violent, unexpected death. I used to use Carbonite, but now I use Backblaze, plus an external drive. Oh! Reena ..... and you have taken so many gorgeous captures. The world of back-ups and external hard drives, online/offline storage is all too confusing. I know it's old fashioned but I keep most of my camera memory sticks and don't re-format .... that way I know I have all my original pics if I ever need them. Thinking of you and trusting you have a wonderful 2013. Hi Reena, I really feel for you. I lost the last 4 months of our time living in Sweden (including films of my children playing in Swedish with their Swedish friends), because our external hard drive fel on the floor and broke. A few IT specialists looked into it, but nothing could be recovered. I since got a Mac and I must admit that I today rely on the time machine! Saying that, I now also print our favourite photos to avoid just relying on IT all the time. Some websites offer good prices for large amounts of prints. You also have the option of doing photo books if you want to go by theme or time period. Sometimes, the old fashion way is also a good way to back up. How horrible, Reena. What a loss! 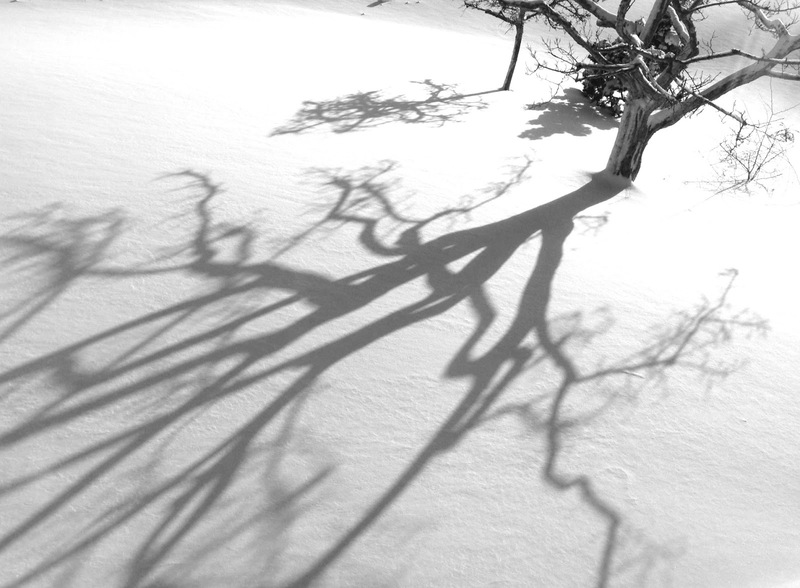 I do love this photo of the shadows on the snow. So sorry ... its awful .. now go investigate Apple's iCloud storage AND if you use iPhoto you can opt for the Cloud there and that way your photo can/will be accessible from any of you Macs does Dropbox have photo storage? What a nightmare. I chose Backblaze online backup because I don't have to make decisions about which files to backup. It backs up everything. I have a 1T external for Time Machine (I'm thinking I should consider a 2T after reading your post). I also have a second 1T external I backup only my images on. Good luck. So sorry to hear about your loss!! How sad. And on a Mac too, that's scary. A good reminder for the rest of us to be careful. I now backup everything on DVD... no hard drive to crash. I used to use external hard drives but 2-years ago, I looked for a photo on one. The first time I decided to pull something off it and wouldn't you know it, it died. I trusted the external to last and lost every photo on it. Heartbreaking is all I can say! Having the hard drive crash is the one thing I fear most about digital photography....I do have one EHD but now I am sure I need more! BTW what brand of hard drive crashed? I will stay away from that kind! I marvel at your technical prowess, Reena! I've taken my computer in for "tune ups" and this has helped. A MAC friend has had his laptop for 9 years! What a remarkable start of the year. Oops, bugger! I’d probably throw myself off a bridge if that happened to me. Including cameras! I will now go and check my external hard drive for iphoto backup. Thanks for the reminder, Reena. Aha! So that's what you decided to use. Nevermind my last question! I really need to get an external hard drive, but it's a good idea to back it up somewhere else, as you said. I had one go bad on me! I use Carbonite, but to be honest, I'm not sure if that includes photos. I believe it does, but I need to check. I have a 3T external drive - back up everything on there - and then I have 64G thumb drives - takes three of them to back up my photos - and these live in the safe deposit box at the bank. When we go on vacation I also put the external drive in the safe deposit box. I rotate out the thumb drives to keep updating them - and so far it has worked well. This is a good reminder to me to do a back up - I've been suffering from horrendous back pain and now recuperating from emergency back surgery (this whole thing took 8 months out of my life) and I've done no back up in that time - now that the meds/drugs are gone and I'm clear headed - I'm off to do a double full back up.